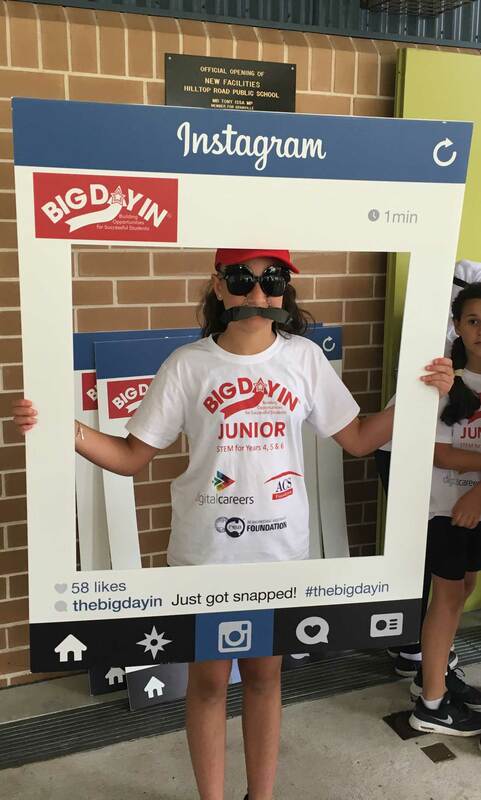 The first ever Junior Big Day In was held at Hilltop Road Public School in Merrylands, NSW on Tuesday October 27. 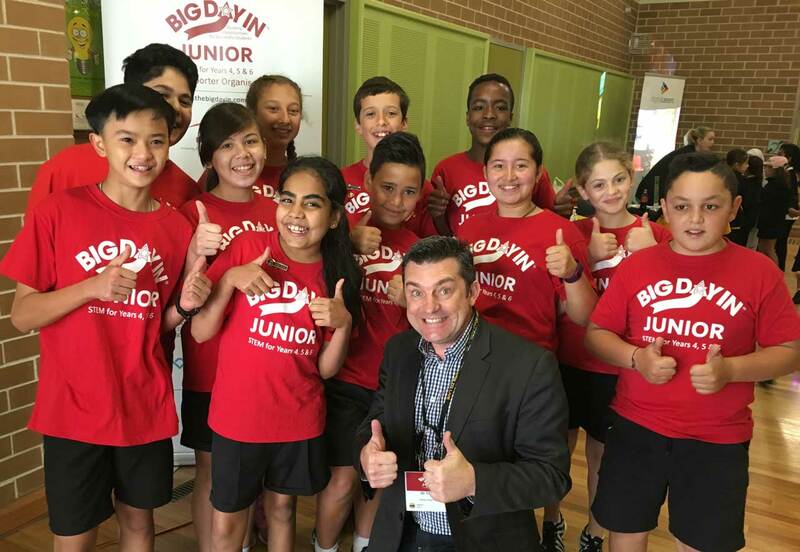 This event was run by the Australian Computer Society Foundation with an aim to encourage Year 4-6 students to explore an interest in STEM – Science, Technology, Engineering & Mathematics. 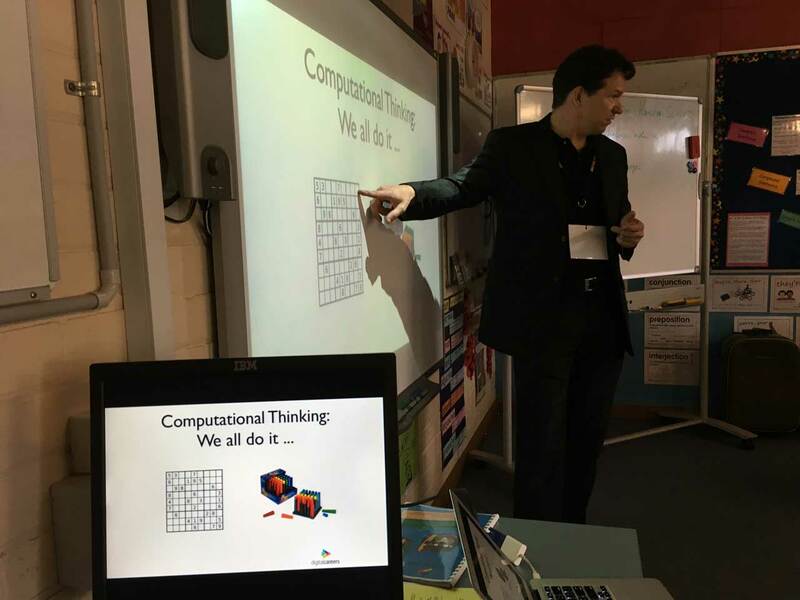 Dr Karsten Schultz (Digital Careers) sharing the how and why of computational thinking. 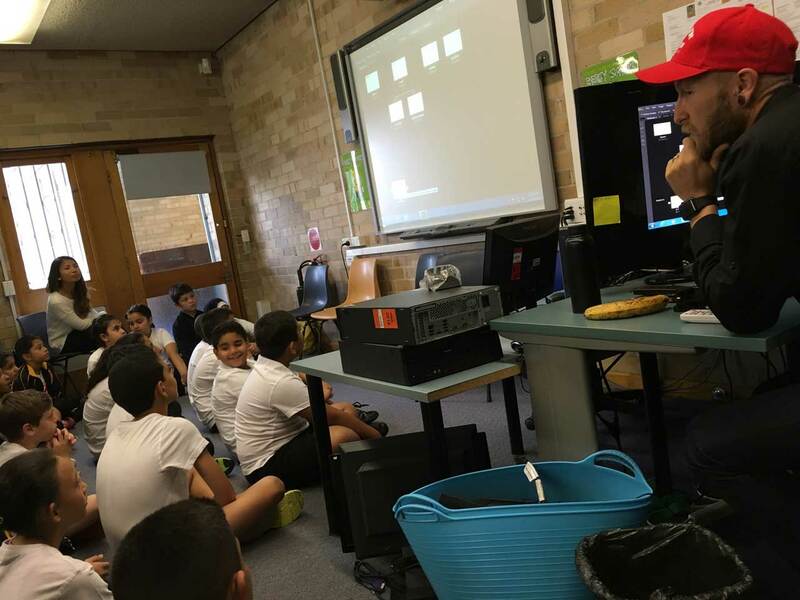 Computational Thinking was a major theme with students being taught by a range of providers with a focus on simple coding. Brett Kent teaching Adobe Muse & Illustrator. 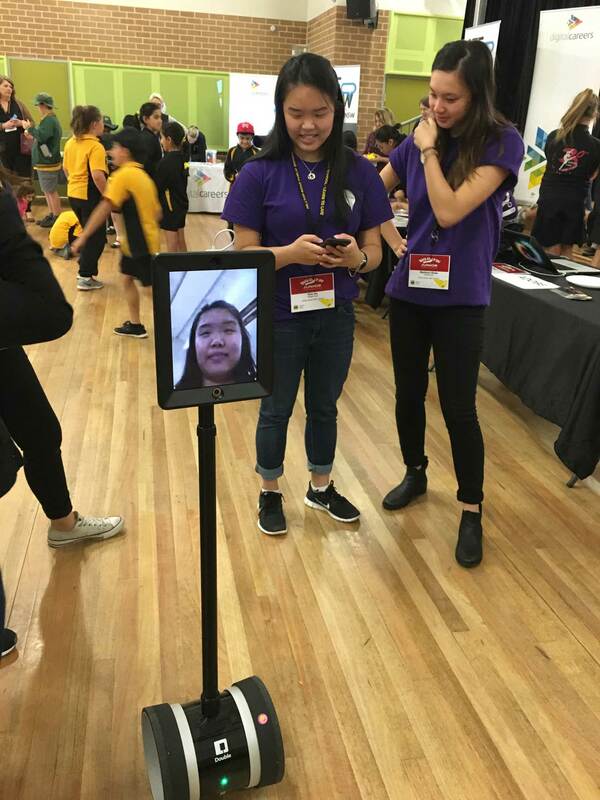 Communicating creativity with 21st century tools was also a focus of two workshops that the students were involved with. 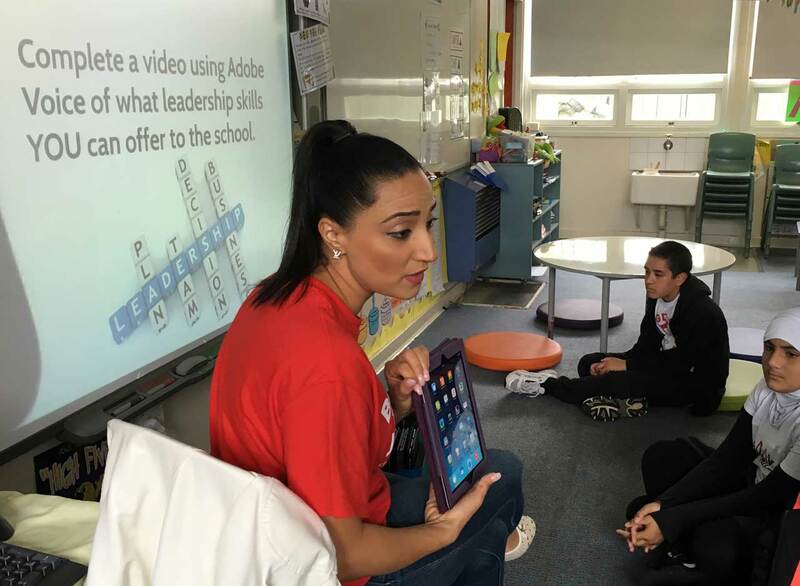 One was on online publication with Adobe Muse & Adobe Illustrator run by Adobe Education Leader Brett Kent and the other was on story telling and video production with Adobe Voice run by Adobe Campus Leader Rita Maroun. 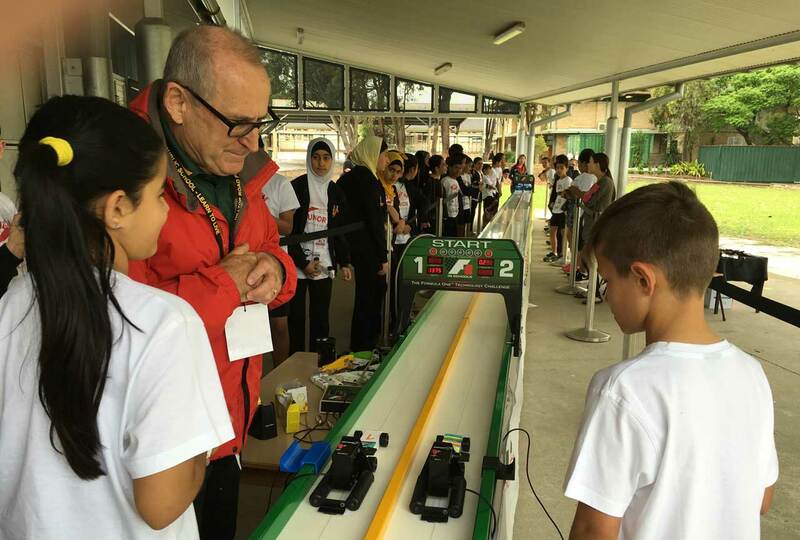 The students made F1 cars in advance of the day and were able to test their speed and each other starting reaction time. 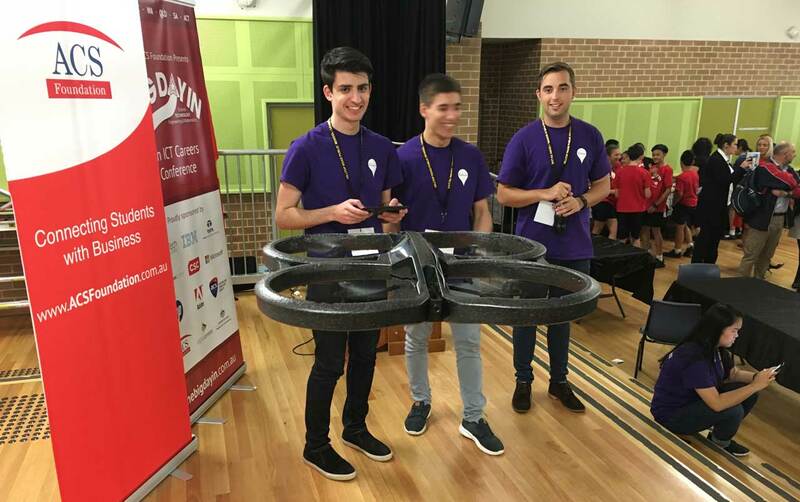 A number of ACS partners helped support the delivery of this new program and made significant contributions in terms of people and time to help make the day a roaring success: Westpac, Microsoft, Adobe, University of Technology Sydney, National Computer Science School from Sydney University, Code Camp and Digital Careers. Special thanks to Mike Myers who will display his Formula 1 car at the school for the event.